On a hot Paris afternoon, just off the Boulevard Saint-Germain, I ring the bell at 31 Rue Saint-Guillaume and wait. Behind the lacquered, overlarge door, one of the great treasures of modern architecture awaits. Although a visit to the Maison de Verre used to be a cult experience, with only a select few scholars being allowed in, it is now open to a slightly wider variety of visitors—to those who demonstrate an interest in architectural criticism or, like my companion, a student at the Courtauld Institute of Art, in art history. Even so, when the door finally swings open and the shimmering square of glass shines down on us, there remains a feeling that we are experiencing a piece of history that few others have ever known. The Maison de Verre, or House of Glass, is one of the best-preserved modernist buildings in the world. In the late 1920s, Dr. Jean Dalsace, a Communist gynecologist, and his wealthy wife, Annie Bernheim, commissioned the architect and furniture maker Pierre Chareau to build them a residence with space for a doctor’s office. What Chareau created was not only singularly beautiful—a two-story glass cube—but also a socially charged space in which every table, every window, every staircase, and every door handle held social significance. A handle in the doctor’s office slides in a downward arc, which forced Dalsace to bow and stand to the side as he opened it, allowing a pregnant woman to pass through. His office table is wide but not long and moves on rolling casters, which meant embarrassed patients could lean over and whisper in his ear. The windows in the waiting area are high, allowing light to enter, but also arranged so that infertile women waiting for the doctor weren’t forced to see the Dalsace children playing in the backyard. A tearoom has a small port on a metal pivot, which allowed the service staff to deliver tea or coffee without having to walk all the way around and into the room. Chareau knew the possibilities that mechanics and machines provided. He collaborated with the ironworker Louis Dalbet to create curving metal screens at the bottom of the first-floor parlor staircase, which separates the apartment from the office below. Together they installed window panels of an old train as the window casements that overlook the backyard; and, on the second-floor salon, they put in a rolling ladder along the bookcase, which Dalbet fashioned from a piece of steel pipe. In adhering to the tropes of high modernism, the house is not just a machine of labor conservation and medicinal cleanliness—it is also a machine of theatricality. There are a variety of walkways throughout the house that are, from a utility standpoint, needless; but they allow one to feel momentarily removed from Paris, as if dropped into a labyrinth. The Dalsaces themselves mostly used the tight, efficient staircase in the corner to go between floors. But when they had guests, they used a glamorous, broad staircase, which has no rails and seems to float in midair. Annie would stand at the top to greet guests, where she was backgrounded by an entirely glass—but not transparent—wall, through which a soft light from outside shone, bathing her in angelic hues. The guests, as they headed to the second-floor salon, no doubt felt as though they were ascending to heaven. The bourgeois interiors of so many other Paris homes at the time were defined by their capitalist identities. “There is no spot on which the owner has not left his mark,” Benjamin wrote. Glass evoked freedom from the strictures of possession and capitalism. The Maison de Verre represented a new style of architecture—one that melded politics with social uses, promising a tailor-made, laborsaving object that commingled freely with the outside world. Sometimes this happened literally. A piece of glass near the front door pivots such that a stream of outside air can pass through the entire house without one ever having to open a door. An obsession with cleanliness and with all that is white and bright is palpable, such that one feels, at times, the house has been crafted to be a sanatorium. By the early 1930s, germ theory had long been established, but antibiotics were only beginning to be discovered. Chareau therefore made every material washable: Carpets are pinned down so that they can be taken out and cleaned; the treads of the stairs can be removed and repurposed; and natural light and air permeates the entire residence. With the Maison de Verre, individual expression became about far more than “selecting the right style.” The celebrated contemporary architect Renzo Piano wrote that the house “has nothing to do with style, but rather the quality of the craftsmanship,” adding that “there’s an innocence to the way it all fits together: the innocence of a little boy playing.” Catherine Bauer Wurster later wrotein the Journal of the Society of Architectural Historians that true architectural modernism encapsulates “a scientific approach to human needs and uses in programming, planning, and design.” No doubt this is the Maison de Verre. The house was designed to its owners’ very personality—a house like a Swiss watch, perfection and utility in every tiny gear. 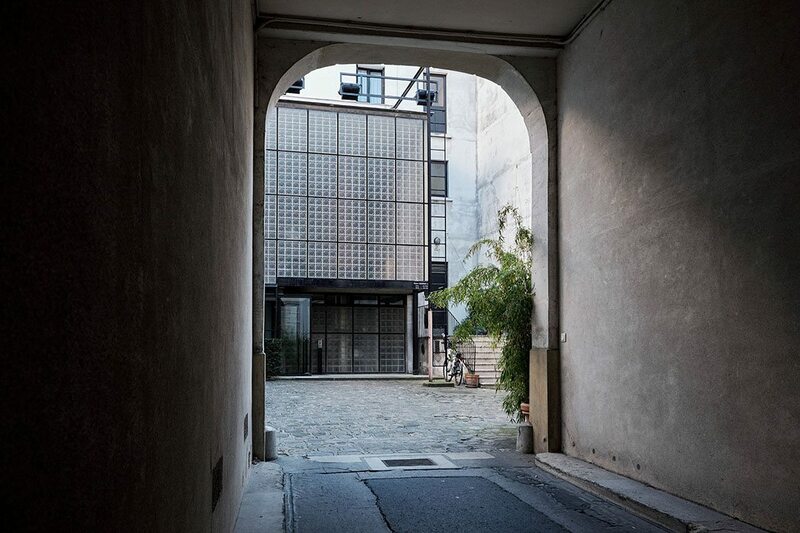 Although the Maison de Verre stayed in the Dalsace family for more than 70 years, by the 1980s, Aline Vellay, Jean’s daughter, decided she wanted to sell the house to the French government, hoping it could be opened to the public as a national landmark. For unexplained reasons, the government didn’t want it. But in 2006 Robert Rubin, a banker turned architectural historian, grasped the opportunity and bought the house from Vellay for an undisclosed amount. Fortunately for the Maison de Verre, Rubin wasn’t after the house solely for its prestige: After working on Wall Street, he enrolled at Columbia University in his late 40s to study under Kenneth Frampton. Back in Paris, Rubin set to work maintaining the house’s underlying character while restoring its former beauty. He had it deep-cleaned, which removed nearly 400 pounds of dust from the heating and ventilation ducts, and had all of the glass and rubber tiles scrubbed by hand. He replaced very few objects wholesale, opting instead to maintain the underlying charm and character of the house. Although now owned by Rubin, the Maison de Verre is still, in spirit, the house of the Dalsaces; even now, the house maintains its essential promise. A doctor bows to his vulnerable patients; one’s guests receive a heavenly entrance; the traumatized have their feelings spared; a hardworking service staff is saved time and energy. 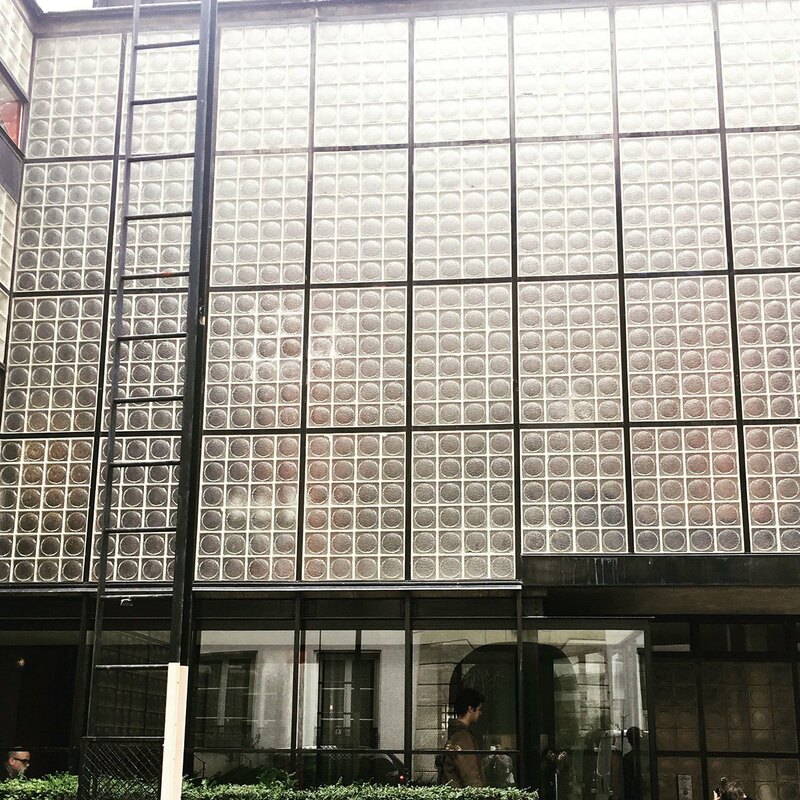 As aestheticism becomes increasingly voguish in today’s architecture, the Maison de Verre is a reminder that there need not be a trade-off between that and utility. They work in improbable tandem, like a New York financier getting along with a French Communist. This article originally appeared at JStor Daily. Next PostDoes Freud Still Matter?